WOW. I mean, proud wifey is an understatement. This is one of Steve’s favorite recipes that is inspired by one of our go-to places when we visit my parents in FL, Anthony’s Coal Fired Pizza and he did GOOD remaking them. I felt like I was back in FL, drinking some wine, eatings some of the best wings. Now it is your turn to feel the same, and wow your hubby. Trust me, he will love you even more after this meal…. 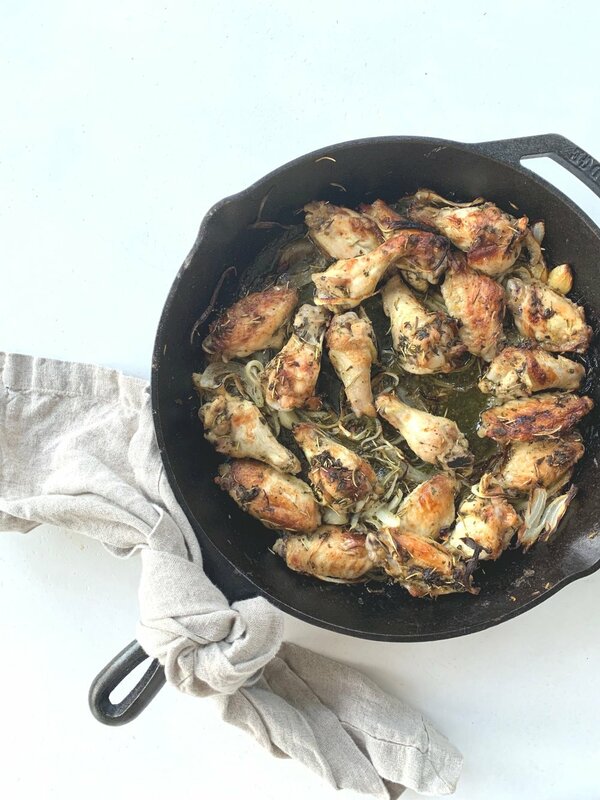 Place chicken wings in a large nonreactive bowl or roasting pan. Whisk remaining ingredients together in a small bowl, season with salt, to taste. Pour marinade over wings, tossing to coat. Cover wings and refrigerate for 24 hours. Stir occasionally; do not over-marinate. Place wings in a baking dish, single layer, skin side up. Cook for 25 minutes, turning wings over halfway through cooking process to brown both sides. Serve with onions and focaccia, if desired.